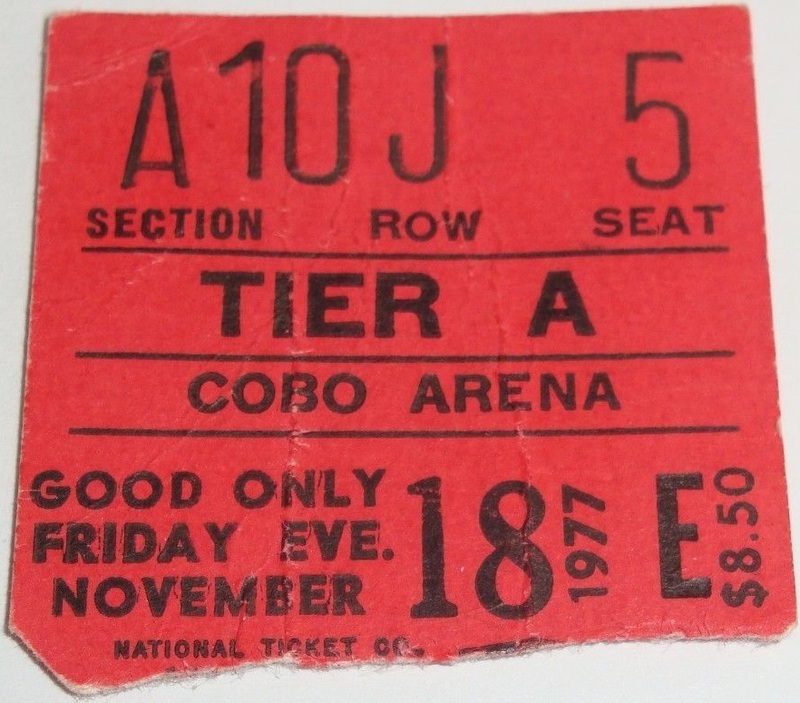 A fan recalls the night: "One of my main memories of this was how inhumanly loud they were and this is from a guy who sat front row for The Who and saw Sabbath, Deep Purple, etc. This night Queen were neck and neck with those bands as far as volume goes." Freddie Mercury is in excellent form for this early tour show, and Roger Taylor's fills throughout are full of life and spontaneity. "Thank you for giving us such a beautiful welcome. Oh, look at this smoke." Freddie gets momentarily distracted after the first song, probably noticing some pot smokers in the front rows. "We'd like to, straight away, do a song called Brighton Rock." 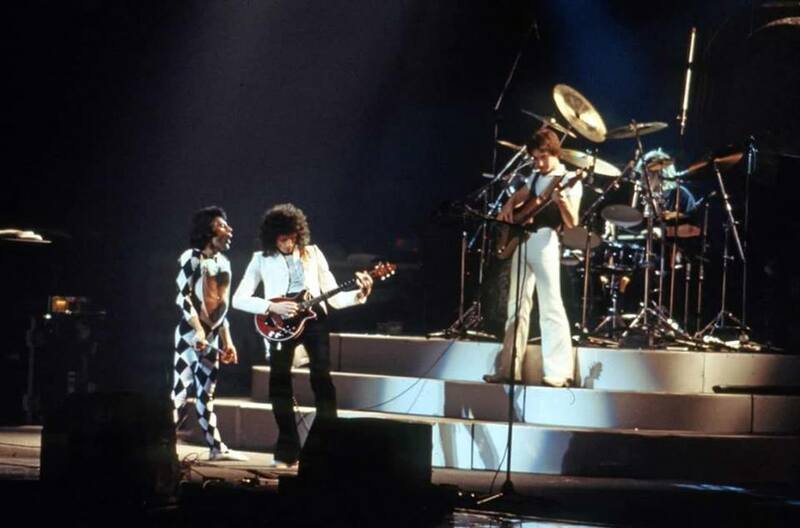 Even though it's early in the tour, road fatigue is already setting in and Freddie seems to lose his bearings for a moment: "The other night, I mean the other time we were here... it feels as though we played here last night, I forgot. The second show's tomorrow. Sorry, folks. The other time we were here [referring to the show last January, now] we did a so-called medley for you. Do you remember that? Well, we'd like to sort of keep that in the set, but it's kind of grown a lot." The show then continues on as normal. Freddie, after the medley: "I hope you're ready for this. Now hear this. We're gonna do a John Deacon song. We ended up with You're My Best Friend, which is written by him. We'd like to carry on with a new song of his, which is on the News Of The World album, and we've only done it for like sort of a couple of days, so let's see what happens. This is called, let me see... [it seems he needs to refer to his setlist sitting on the piano, as it takes him a few seconds to continue] ... Spread Your Wings." Excellent versions of Spread Your Wings and Liar are played, and Love Of My Life is performed beautifully. Before Freddie and Brian had perfected the arrangement of the ballad, these early offerings of the song are timid and even vulnerable. Before the song Brian declares that the acoustic set is something "you perhaps don't normally associate us with." He adds, "this is a song we had a number of requests for last time, and we've just figured out how to play it. This is a very pretty song by Freddie." After a gorgeous rendition of My Melancholy Blues and a decently enthusiastic response from the audience, Freddie asks if they liked it. After a mixed response, he adds, "because if not, we'll throw it out of the show. It doesn't matter. We're just testing you tonight." He realizes he needs to turn it up a notch. "You've been very quiet tonight, you know. Are you usually as quiet as this?" This gets the audience going again, but after a blistering White Man, this was probably not the best time for Brian May to do a nearly ten minute guitar solo. 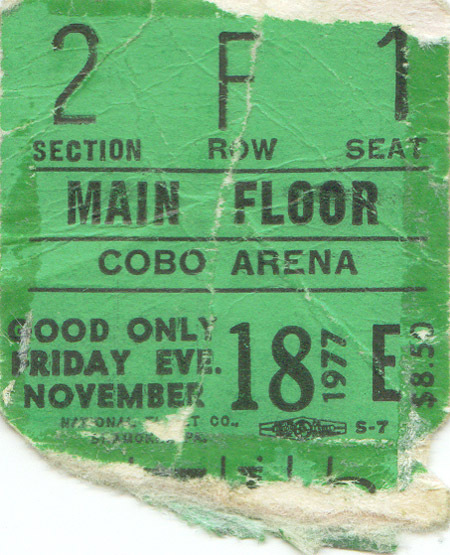 About a dozen firecrackers are set off a minute into Keep Yourself Alive, not uncommon at concerts in the 70s. This recording emerged in 2017, nearly 40 years after it was taped. The sound quality is initially very good and in stereo, but after the first tape flip 45 minutes into the show (from Liar through Keep Yourself Alive) the sound is excellent (although by My Melancholy Blues it's in mono sound). A split second of Stone Cold Crazy is heard, Now I'm Here is skipped entirely, and then the sound returns to its original state for the next four songs until the tape cuts out again. The second encore is also missing. A woman near the taper keeps shouting "rock and roll!" and "kick him off!" towards Brian May, as she is clearly not enjoying his long and meandering guitar solo after White Man. She even yelled "no!" after Freddie asks everyone if they liked My Melancholy Blues. After the explosion into the tail end of Bohemian Rhapsody, however, she lets out a far more emphatic "rock and roll!" in approval, along with about 12 thousand others - perhaps the best audience reaction to the climax of the song ever captured on tape.